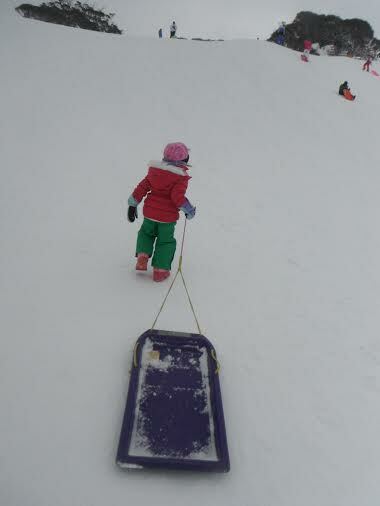 Having a family day at the snow is fun even if you are not a skier or snowboarder. 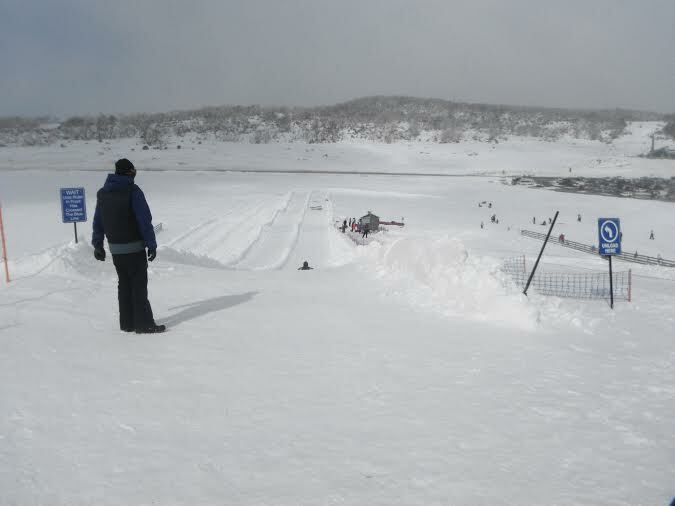 We spent a week at Canberra and decided to drive up to Perisher for a day of snow play. Setting off early in the morning, in 2 hours we were at Jindabyne, a beautiful town at the Jindabyne Lake. If you are looking for cheap(er) accommodation, this is your place. 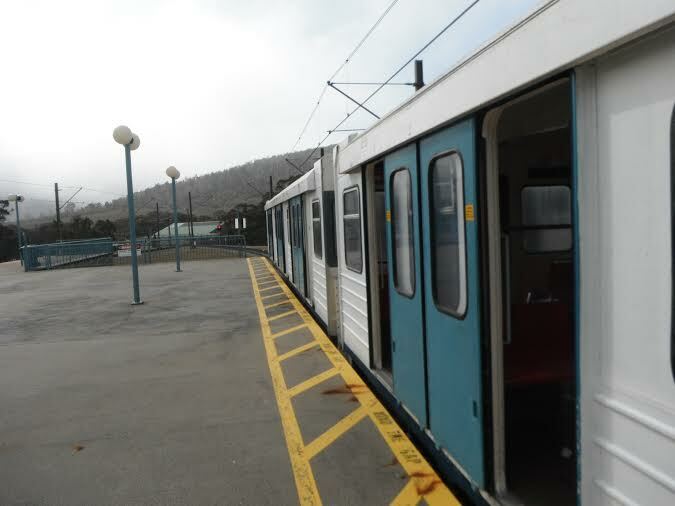 Perisher doesn’t really have on snow accommodation, most people drive up from Jindabyne. In another half an hour, we got to the Ski Tube. The Ski Tube is really a little train that takes you through the mountain up to the slopes. You can park your car at the free parking lot which is really big and under the snow fall levels. If you have chains for your car, you can drive up but then you need to pay entrance fee to the National Park. The Ski Tube goes in a tunnel inside the mountain and it’s very cool that when you arrive at the station you exit and walk out the door right on the snow. 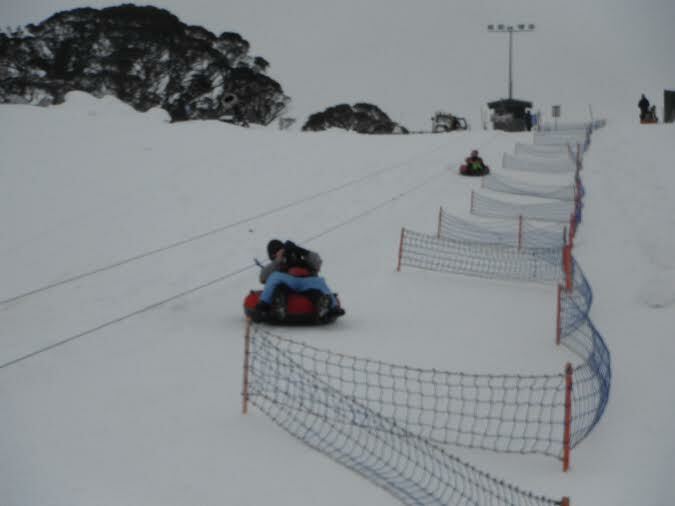 First, we went to Tube Town for some snow tubing and had lots of fun. It goes really fast down the hill. Kids can ride with parents, if they are afraid to go alone. 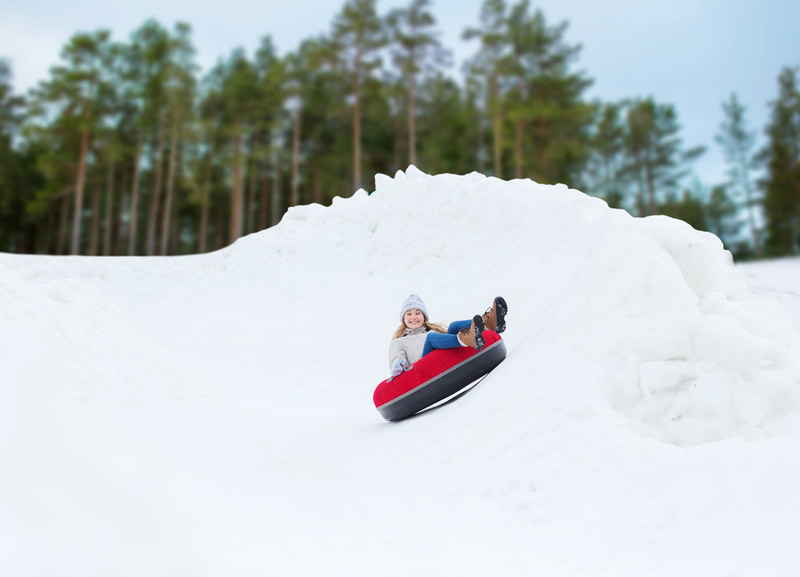 Don’t worry about dragging the tubes up the hill either, they hook your tube onto the lift, you just sit back and enjoy the ride, then they unhook you and you slide down! Too easy! After we were done tubing, we rented two toboggans from the gear rental place which is also at the train terminal where we arrived and had endless runs up and down at the toboggan area. Conveniently the upper level of the Ski Tube terminal is a Pizza restaurant and Café, where you can have a little rest (if the kids let you). Another fun thing to do is riding the scenic chairlift up the mountain, which we didn’t do, because all the kids wanted to do it sliding down in the toboggans. Exhausted and a getting cold by the end of the day, we hopped on the Ski Tube that took us back to the car. Perisher is so cool, we all wished we stayed for more than one day and decided to come back for a longer stay next time! 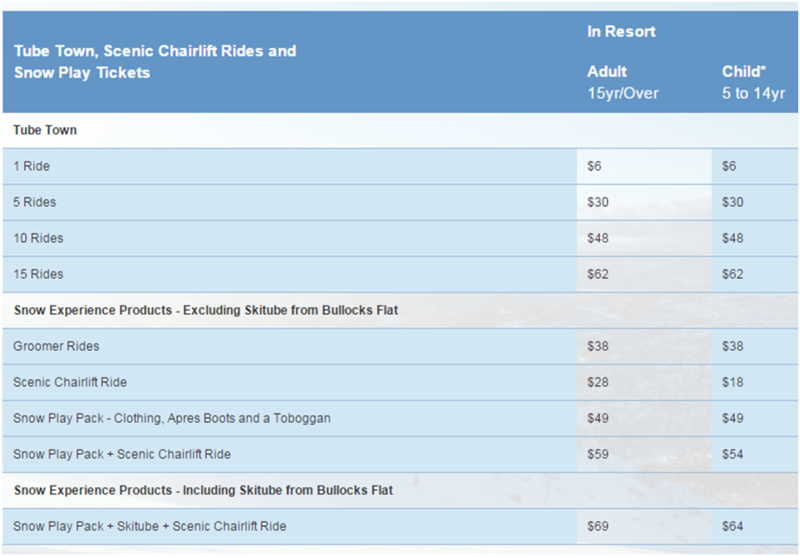 For more info about everything snow, go to Perisher’s website here!